The premiere professional culinary educational institution located in the Queen City of the South in the Philippines. The academy will prepare you for one of the most diversified and rewarding profession in the hospitality industry. Cebu has been one of the key cities that have contributed to the success of building a foundation in promoting the Philippines as a tourism oriented and very hospitable country, not only on a national level but on the international level, as well. People dine every day, whether in their own cities or when they travel and visit hotels, restaurants, bars, places of entertainment sometimes in luxurious style or with simplicity. The Culinary Industry is currently enjoying a high level of popularity as never before, boosted by various culinary TV programmes and constant media exposure. The ”International Culinary Arts Academy Cebu” is an ideal training ground for aspiring chefs with the combination of three major factors: the academy has an ideal studying atmosphere which is located right in the heart of Cebu, and an international destination for many foreigners who wish to enjoy the warmth of the tropical island sun, the international qualifications that we offer are from International City & Guilds of London and our courses are created based on international standards, which are delivered by highly qualified professional instructors and the academy is equipped with modern and complete training facilities. Our passion for culinary excellence coupled with the best culinary traditions in developing our students leadership skills keep us at the top of the culinary schools worldwide. We will be training you with the highest standards and teach you all the necessary components needed, in order for you to lead your way on this very competitive profession. With the International Certificates, Diplomas coupled with your own passion and ambition, these will certainly lead you to your success. 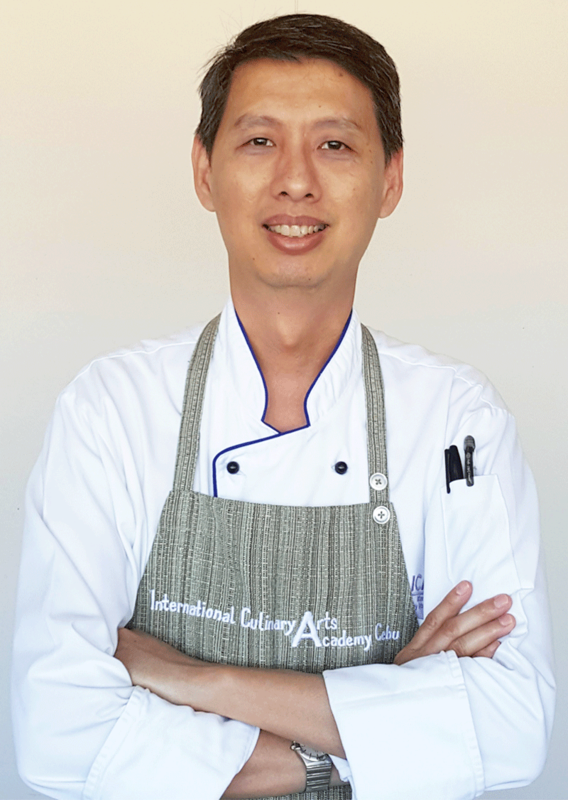 Welcome to the International Culinary Arts Academy Cebu, a British Certificate School. “We are Your Gateway to the Culinary World” and I sincerely wish you all the best of luck.